There are numerous ferry crossings operating from Corsica to Sardinia. Ferries currently connect 4 ports in Corsica with 3 ports in Sardinia. There are a combined number of 60 ferry crossings each week across a selection of 5 Ferry Routes which are operated by 4 ferry companies including Corsica Sardinia Ferries, Moby Lines, La Meridionale & Blu Navy with the shortest crossing taking around 50 minutes (Bonifacio to Santa Teresa di Gallura). This is a general summary of the services on offer between Corsica and Sardinia, for live information select from our Fare Search. Lying west of Italy and southeast of France in the Mediterranean Sea, Corsica is an island with a mix of cultures and one of the most stunning coastlines in Europe. On Corsica, you’ll find all the best things the Mediterranean has to offer: fine cuisine, picturesque beaches, crystalline waters and historic landmarks. You can spend your mornings soaking up the Corsican sun, your afternoons enjoying water sports, then wander through charming hilltop towns at sunset, admiring the medieval citadels along the way. As an island in the heart of the Mediterranean Sea, Corsica is a great departure point for a large number of European destinations. 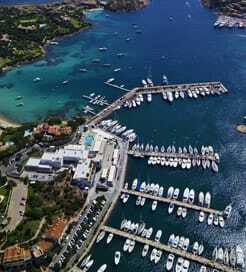 There are multiple ferry ports along its 1,000-kilometre coastline, making it even easier to sail across to popular holiday destinations including mainland France, Italy and Sardinia. 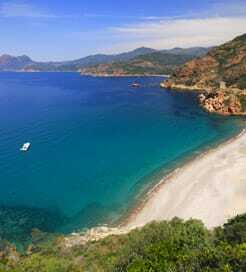 Sardinia is a large Italian island in the Mediterranean Sea, immediately south of Corsica and north of Tunisia. With nearly two thousand kilometres of coastline, Sardinia is more known for its expansive, mountainous interior laced with hiking trails. Unsurprisingly, incredible hilltop views come in abundance, but it also has beaches, bays and shorelines to rival anywhere in the world. Sardinian culture is rich with peculiarities, with the calendar filled with exciting festivals and the cuisine reflecting a unique spin on the Italian classics, most notably the famed maggot-infused cheese. However, perhaps the most intriguing characteristic of Sardinia is the presence of nuraghi, fascinating Bronze Age stone ruinous towers and settlements shaped like enormous beehives. Reaching Sardinia by ferry is a popular choice in southern Europe, given its convenient location in the Mediterranean Sea and frequency of ports along its coast. Not only can you sail from mainland Italy, numerous routes are available from various international cities, too.